Showcase, Home of the Hottest Trends. It really is a one-stop shop for everyone! The holiday season is upon us and if you’re like me, you want the hottest trends and gifts that your loved ones will adore and enjoy. I also like making shopping easy and finding what I need in one place? Well, that’s amazing and super-convenient! We’ve all had that stress of not being able to find the PERFECT gift for a loved one. Not to mention, making my way through a crowded mall, store to store can be frightening! But, what if you can find a store that is a one-stop shop for everything you need? Showcase is one of those stores that I love going to because you can actually try out the gift before you buy it . With a wide range of gift ideas — from the country’s largest selection of Disney’s Frozen toys, games, dress-up, and décor (over 250 items) to the copper-infused clothing of Tommie Copper, to the instant glam of Secret Hair Extensions — Showcase has something for everyone. Showcase is the Home of the Hottest Trends, and the world’s largest retailer of its kind. With 101 permanent stores in Canada’s best shopping malls, Showcase offers the most fun, interactive, new, and unique products ever — all in a retail environment where customers can “try it before you buy it” — also known as “retailtainment.” Founded in 1994 in Edmonton AB, Showcase celebrated its 20th year and its 100th store in 2014. I Love Warm Hugs, Oh and Frozen! Disney’s Frozen is one of their most popular movies to date. Kids and adults alike can’t help but fall in love with the story and characters. So, as you can imagine, Disney Frozen toys and merchandise are high up in the scale for the hottest in the season. 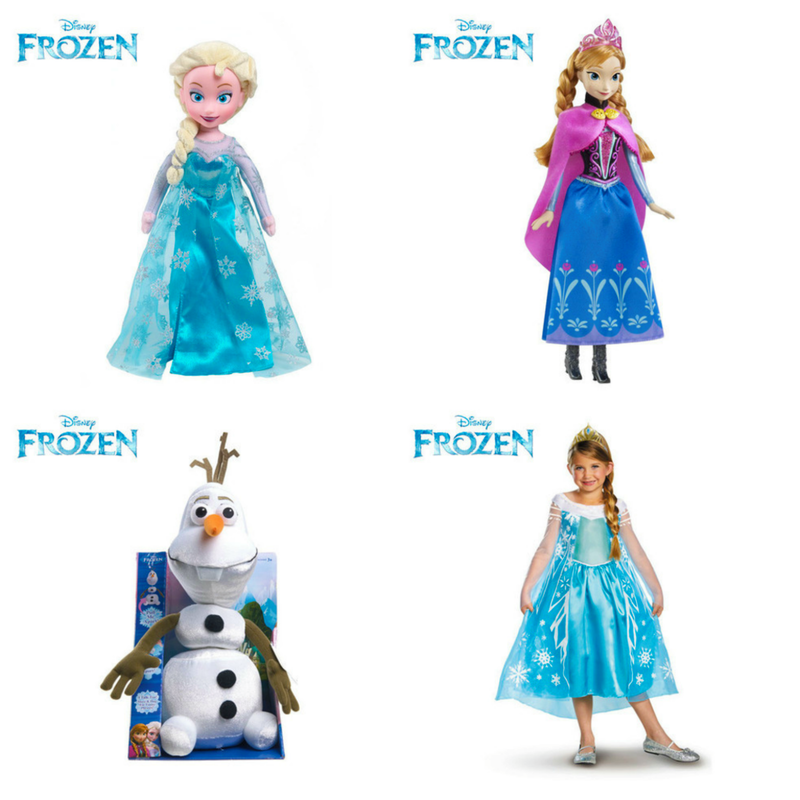 At Showcase Canada, you can find the largest selection of Disney Frozen. Over 250 gifts, to be exact! There’s something for the Anna, Elsa, Prince Hans, Kristoff and Olaf lover in every household. My girls love getting their hands on toys that are not only fun but, ones that they can create things. Living Sands can help your kids explore their creativity. The most amazing and unique learning and play material to enter the market in years. It’s super easy to mold in to durable shapes and it is soft to the touch, it will break apart and appear to move — almost as if it were alive. 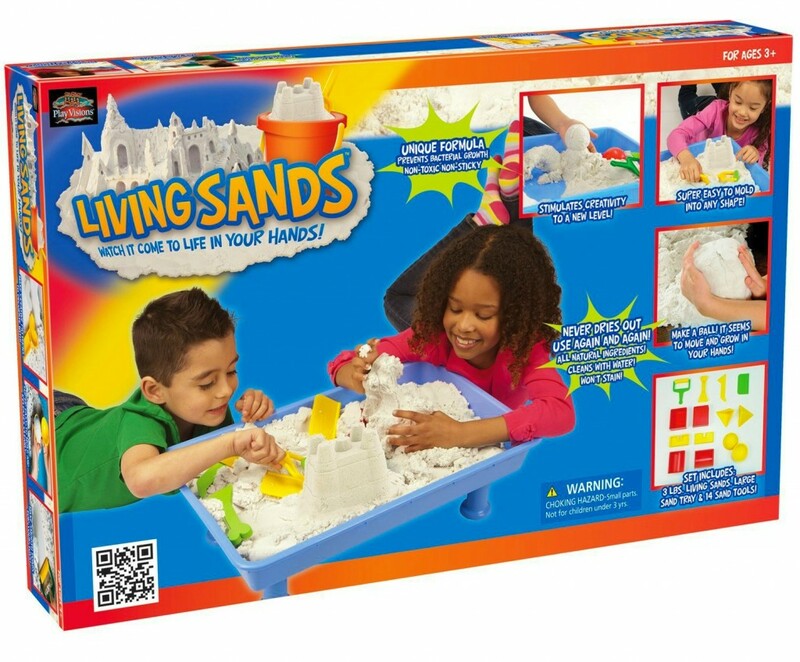 Living Sands brings the sandbox indoors and is water-soluble and 100% non-toxic. So, you don’t have to worry–it’s safe AND fun! Can we say totally SUPER cute? I don’t know about you but, in our house, clean-up time is not a favorite thing. It’s all fun and games until you have to clean up, right? 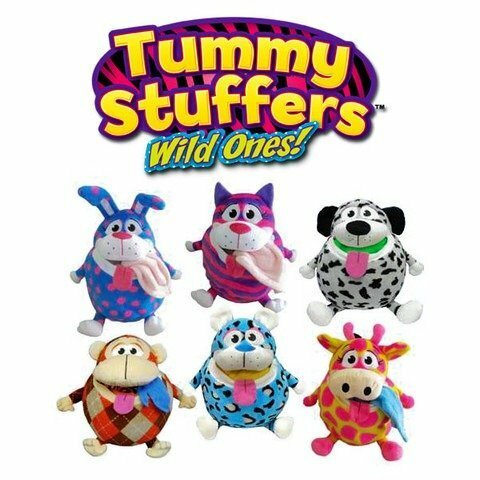 Well, Tummy Stuffers Wild Ones are the new plush sensation that turn clean up time into play time. The Tummy Stuffers’ tummy will stretch and stretch as Tummy Stuffers are “fed” yummy toys, clothing and accessories. This is the perfect for kids to learn how to clean-up and still have fun. Not to mention, they can take their Tummy Stuffer and their other toys with them, wherever they go. Have you ever wanted to have full and healthy hair without using chemicals? Wen Hair Care is an industry-changing product line that is the opposite of ordinary shampoo. What sets Wen apart is its’ non-lathering cleansing conditioner, a single-step process that cleans and conditions simultaneously for shinier, healthier looking hair. Plus, Alyssa Milano uses it, so–why not? Well, I say YES, YES! I have heard amazing things about the no! no! and for those that never want to shave again–well, this is the perfect gift. You can get long-lasting results and no!no! can be used anytime, anywhere . Facial hair, body hair, the bikini line – it’s all the same to no!no! Hair PRO. 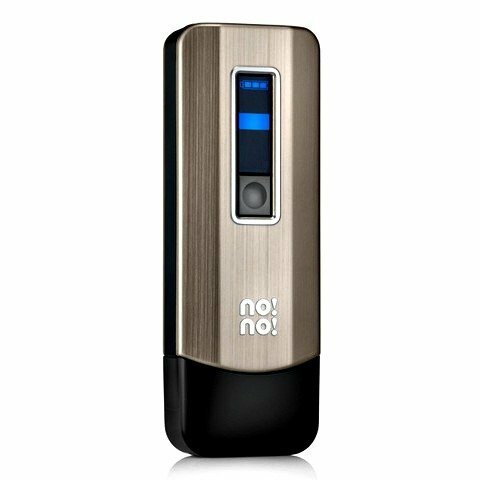 It doesn’t matter what your skin type, hair colour or gender is, the no!no! Hair PRO will change the way you think about hair removal. Who doesn’t love to be silky smooth–who’s with me? Plus, if you aren’t convinced, go in for a LIVE DEMO in-store! You will get instant full and voluminous hair and you will not believe how SIMPLE it is. Longer hair in just seconds! The secret is the revolutionary patented headband, which is completely invisible! It’s adjustable and fits beautifully without any bumps or ridges. Available in different colours to perfectly blend in with all hair colours! 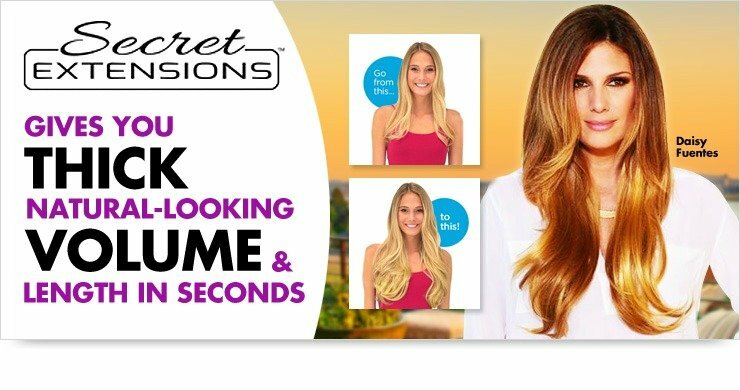 Plus, you can go in-store and get a FREE DEMO of Secret Extensions! With the Chop Magic and the NutriBullet RX Series, the foodie in your life will be doing somersaults. You can give them blending power with the NutriBullet Rx. It uses the latest extraction technology to turn fruits, vegetables, nuts, seeds, and legumes into supremely healthful drinks called NutriBlasts. Or use the new heat cycle feature for making healthy soups. So cool! 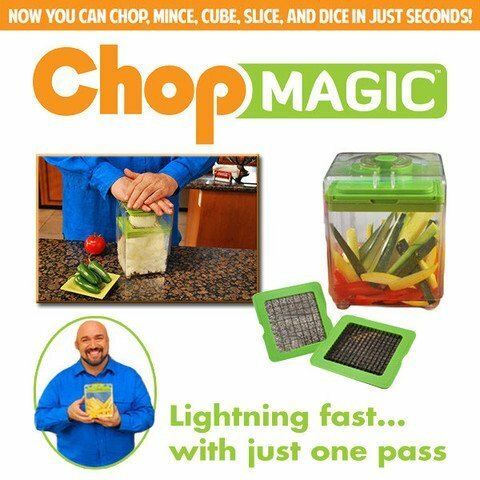 The Chop Magic can change your life! Chopping the old-fashioned way is hard and takes FOREVER. With the Chop Magic chopper, cutting food is lightning fast and it is easy to use. You will find that it’s it’s like having a group of ninjas dice and chop your food for you or more like having 12 knives in one! When that active person in your life loves sports so much and exercise and sports are a part of their everyday life, well, that comes with a lot of aches and pains. Why not relieve some of that pain and gift them with the Tommie Copper compression brace. Activated copper is at the core of every Tommie Copper garment. Tommie Copper compression supports muscles for improved performance, recovery and relief. A full line of women’s and men’s knee and arm sleeves, compression socks, shirts, and shorts is available. 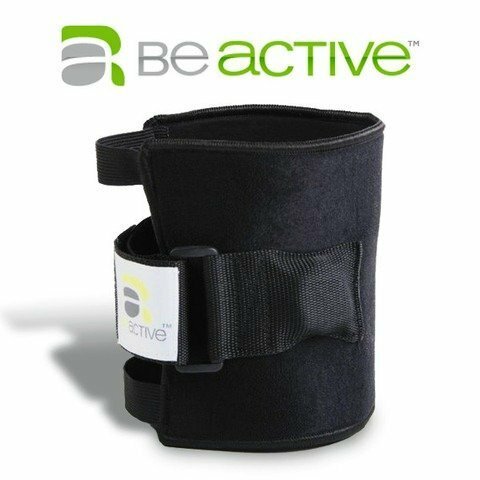 A BeActive Brace is a pressure point brace for conditions associated with chronic low back pain, sciatica, piriformis syndrome and pregnancy. I think that this is a perfect gift to help relieve those aches and pain of every day life. Home of the Hottest Trends Indeed. If you want to take the stress out of shopping and find the perfect on-trend gift this season, go to your nearest Showcase store (there’s over 100 stores) or go online at ShopAtShowcase.com and shop online and get free shipping anywhere in Canada. That’s free shipping on all orders, no minimum. Which gift would your loved one love to see under the tree? Would love to see the No No under the tree so I could see if it really works. All great picks! It sounds like that is THE place to shop! I would love a No No!! These are some great gift ideas. My daughter would love to see any of the Frozen characters above under the tree this year. There are tons to choose from too! My twins want ALL frozen for Christmas – Frozen all the things!! I need to check out Showcase, I hear they have a great assortment! Yes, they have over 250 things to choose from! These are all great gifts! Personally, I'd love to see those hair extensions, especially since I just cut my hair into a pixie cut. Well I can tell you that we are all about Frozen stuff here in my house. Very cute items for sure. I am all about those Frozen toys!! They are so cute – I think that this is a great post! I will definitely be sharing your post with my friends. Thank you! 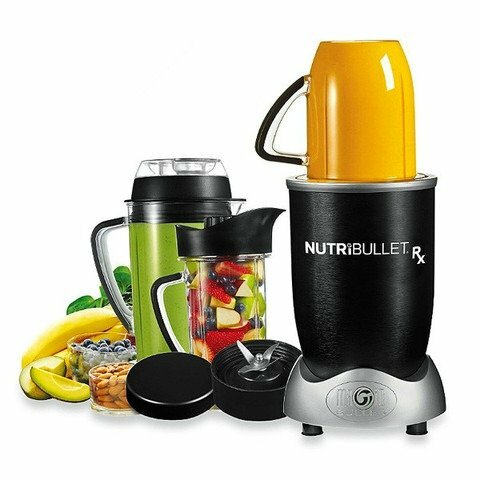 My husband would love to see that Nutribullet under the tree this year! And my daughter wants Anything frozen! These are all really great gift ideas. The NutriBullet looks pretty awesome. Thanks! I think that would be great in any kitchen. I've got a NoNo on my Christmas list. It looks super cool. My daughters have been asking for that sand. I played with a sample of it, it is pretty cool. I have heard such great things about Wen hair care. It would be a great gift. I think it is a great gift! Oh boy, Disney's Frozen toys seem to be really hot this year. Every time I see something on Amazon's deals listings they go super quick. Yes, they are big on the list this year. Showcase has over 250 to choose from! I think that nutribullet would make a great addition! I had the opportunity to try the Living Sands. It is a great product. I loved the way it felt in my hands. Great Christmas gift idea. Oh yes even in the states those are hot items too especially Frozen and even more so if you have little girls like myself! That living sand is so fun to play with. Kids will get so much use out of that! Those Frozen dolls are adorable! Also, my daughter has been wanting to try out the Wen hair products. I have always wanted to try the Wen hair care system. These are all great gift ideas. It would be great for hair care! I love the showcase store. I am always able to find something for anyone on my list in there. There are so many cool things, you cannot go wrong. Now these look like some great gift ideas! Thanks for the suggestions! My pleasure, hope you find something you will love. I see a few things i would enjoys for christmas.Thanks for sharing. Those Tummy Stuffers looks like a lot of fun. I know my kids would enjoy those. Great list. 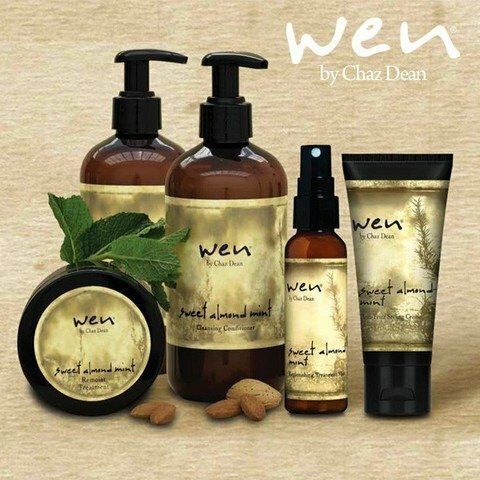 the wen hair care look pretty neat! never heard of that product before ! These are such great ideas, I am addicted to Frozen and so are my children. Some of the other items on your list may actually be a great fit for others I know! Thank you for sharing this. Frozen is ALL THE RAGE again this holiday!!! It is a great movie! I must admit! It sure is, people love it! My kids would love all the Frozen stuff! For me the Wen would be the star if the show! I love the Wen stuff! Oh how I LOVE Wen! I bet anything Frozen will be a huge hit! Tummy Stuffers look pretty cute! Perfect for my little girl to put all her blankies…she has about 5 and they get tossed all over the house (and floor) all day long. This could be a great solution! She would love it too!